The Lakers have been given an incredible opportunity and teams around the NBA are thrilled they’re passing up on taking advantage of it. It’s been written before but it cannot possibly be repeated enough: The Los Angeles Lakers have been gifted an incredible opportunity by way of Magic Johnson’s resignation, and yet seem committed to keeping Rob Pelinka even if it costs them the likes of some of the absolute best executives the NBA has to offer. Read that again. And then again. One more time just to hammer the point home. 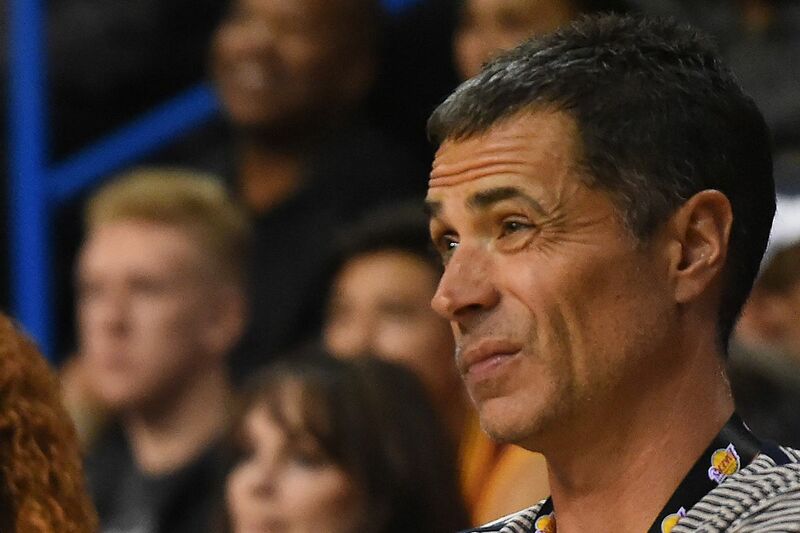 Pelinka is already running the Lakers’ search for a new coach. The opening was created when Luke Walton willingly surrendered the final two years of his contract after months of withering scrutiny and pressure, largely instigated by Johnson’s well-chronicled criticism in November, once presented with a better opportunity and more tangible support from the woebegone Sacramento Kings. One thing you always look for when making decisions is for the celebration from those you are in direct competition with. If they are excited about your choice, it’s probably not because it’s a good one. As an example: My podcast has done pretty well. I’ve thoroughly enjoyed the success I’ve attained thus far. You think competing shows would be happy to hear about me going it completely alone and then hosting the show exclusively on MySpace? Probably, right? Beyond that being a terrible decision on its own, the mere fact that my “competition” (I use quotation marks here because this isn’t the same as competition in a professional sports league) would be happy about my taking the show in that direction should be enough to make me reconsider that decision. In this case, of course the teams competing with the Lakers are thrilled Jeanie Buss is opting for comfort, trust and proximity over actual proven basketball acumen. Do you realize how terrifying it would be to have to compete with the Lakers with an elite executive at the helm given all the resources they’d have to work with? Give Bob Myers — architect of maybe one of the greatest teams the NBA has ever seen — an almost endless revenue-driven resources, LeBron James, a promising young core, a full stock of draft assets and cap space. How do you think that ends for teams who would have to directly face off against that organization? Probably not well, right? Now, maybe it turns out Pelinka is a prodigious talent that was being held back by Magic Johnson’s inconsistent, volatile approach to the gig he stepped away from to tweet. Maybe Kurt Rambis is as good at piecing together a team as he was bad at coaching one and running his own Twitter account. Maybe the universe has an incredible sense of humor and that’s how this turns out. I guess crazier things have happened. But if they aren’t incredible — and they’d have to be so amazing as to make up for the opportunity cost associated with keeping them over hiring the type of executives who are interested in this job — then Jeanie owns this mistake. If this is what she wants to be known for, fine. That’s her call, but she has to know what’s at stake — no less than complete lost faith in her ability as an owner — in making such brutal mistakes as this one could be. Twice. For more Lakers talk, subscribe to the Silver Screen and Roll podcast feed on iTunes, Spotify, Stitcher or Google Podcasts. Magic Johnson says he talks to Jeanie Buss ‘almost every day’ and is still focused on helping the Lakers as much as he can Magic Johnson just confirmed reports that even though he quit his job with the Lakers before he even told Jeanie Buss, he’s still focused on helping the team in free agency and beyond. Alex Caruso says both he and the Lakers are happy with his growth, and that he wants to be a full-time NBA player next season Alex Caruso became a highlight down the stretch for the Lakers, and he’s hoping it demonstrated his full NBA potential. Jeanie Buss reportedly has ‘no plans’ to replace Magic Johnson, who is still going to help the Lakers recruit free agents The Lakers don’t plan on replacing Magic Johnson, nor do they intend on keeping him out of the team’s offseason plans.